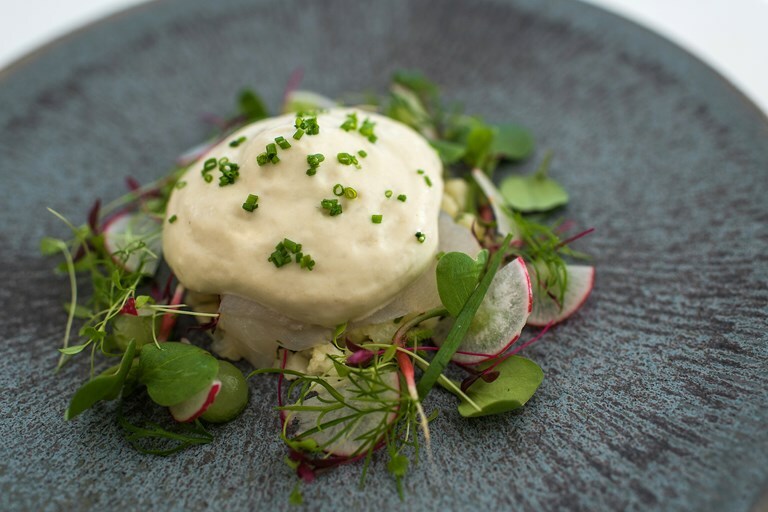 Geoffrey Smeddle adds extra depth and flavour to this monkfish recipe by curing and smoking the fish before serving with a lemon and herb cauliflower couscous and rich oyster mousse. Cauliflower florets have a similar texture to couscous, so make a fantastic healthy alternative in this recipe. If unsure, ask your fishmonger to help prepare the monkfish loins for this recipe.